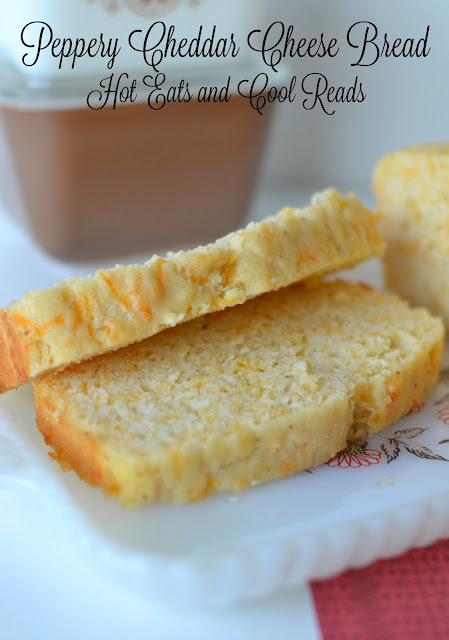 Ready in less than an hour, this quick bread is the perfect addition to any chili, stews or creamy soups! I am a dunker. Every time I eat soup, especially cream soup, I need to have some yummy bread to dunk in it! This recipe is quick to mix up and bakes in no time at all. I love the pepper and cheddar combo. You can taste the flavor from the pepper, but it isn't spicy at all. It goes so perfect with the Chicken Wild Rice Soup I made last weekend. You definitely want this bread with your next batch of soup! Enjoy!! In a large bowl, combine flour, cheese, sugar, baking powder, baking soda, salt and pepper. In a smaller bowl, beat buttermilk, butter and eggs together with a whisk. Add the liquid mixture to the dry, stirring until all ingredients are combined. Pour mixture into a greased loaf pan and bake for 35-45 minutes. Cool for 15 minutes before removing from the pan. Store in the refrigerator. I love quick breads and this is interesting. Got to try it. I have a quick bread if you like this one, you may like mine. Thanks Sue! Your bread sounds awesome! Will have to try! Yum! Great recipe and beautiful picture:) Thanks for linking up To Whimsy Wednesday! Thanks Winnie! It sure would be great for either! This bread looks really good. I am not a dunker, but I do love a good bread with soup or stew! Thanks for sharing. Love this! I think I will have to make this the next time I make a big bowl of chili! Thanks for sharing at Foodie Friends Friday! Your welcome!! It would be amazing with chili! 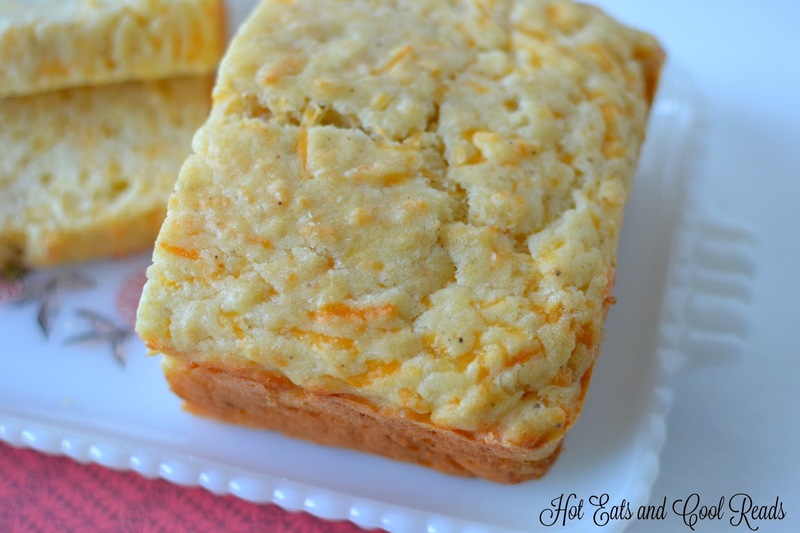 This is a great Cheese Bread that we will really enjoy. Hope you are having a great fall weekend and thank you so much for sharing with Full Plate Thursday. This looks delicious. Love the addition of pepper. Visiting from Full Plate THursday. That sounds awesome. My mom-in-law had bought some peppered cheese when we were visiting over the summer and it was really good. I bet the combo is GREAT in bread. Thank you for linking up to Tasty Thursday - it was one of the most clicked this week and will be featured on Saturday. This looks amazing! Saw on your sidebar while her checking out your cheesy rice and broccoli dinner. Definitely giving this a try. Yummy. I love bread with cheddar cheese incorporated into the mix. I bet this would be good with some fresh jalapenos baked into it!